From racecourses to glamping in yurts, Yorkshire is home to a host of new and recently refurbished venues for C&I groups. 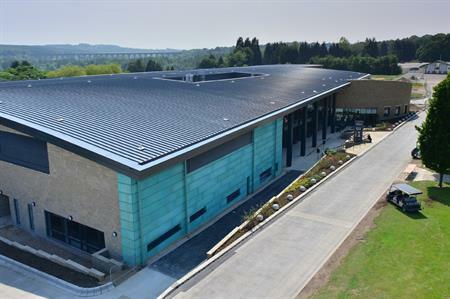 One of the largest modern event spaces in Yorkshire opened in June this year. Hall 1 at the Yorkshire Event Centre in Harrogate is a new £11m development that can house large-scale AGMs and conferences. It increases the floor space of the Centre to over 6,000m2. The new hall will link to a large foyer area, a cafe´ and seminar room. Meanwhile the newly improved 1,950m2 Hall 2, can host theatre-style conferences for up to 1,500 people. Adjacent to the main building is the Tandem Tops comprising two open-sided canopies ideal for outdoor events. A somewhat smaller refurbishment this year was Camp Hill Estate, near Bedale, billing itself as "a unique corporate event venue". It is perfect for teambuilding activities and also offers glamping in yurts and bell tents as accommodation. Nestle´, Red Bull, HSBC, Siemens and ASDA are among the corporate names to have enjoyed its full outdoor programme of obstacle courses and motor sports. The Garden Rooms at Tennants Auctioneers in Leyburn is a family-run business in the stunning surroundings of the Yorkshire Dales. It is the largest auction house in the UK, and the family recently opened the Garden Rooms, which can host exhibitions and conferences and also houses a cafe´, bar, restaurant and gift shop. Wetherby Racecourse is creating a new stand, which will be used as a conference and exhibition space. This increases the capacity of the venue to around 600 delegates, complemented by banqueting facilities for up to 340 people. The £20m redevelopment of The Piece Hall, Halifax continues apace. This Grade I-listed building began in October 2014 and it is expected o be completed later this year, creating a venue fit to hold up to 7,500 people in its 6,000m2 courtyard that is being transformed into a state-of- the-art open piazza. The first corporate events are expected to take place in mid-2017. A £36m concert and conference centre in Hull city centre is due to open in early 2018 and will be able to host audiences of up to 3,500.